Last year I did two posts of horrible vintage Christmas album covers. Just when I thought I couldn't possibly find any more, I came across the following doozies...I know it's kind of an overdone theme on many retro blogs, but how can I resist? 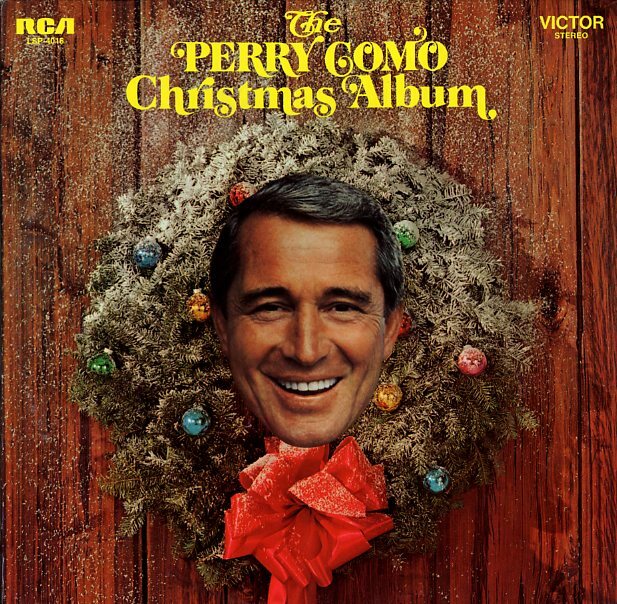 A festive way to greet your holiday guests - Perry Como's decapitated head hanging on your door. 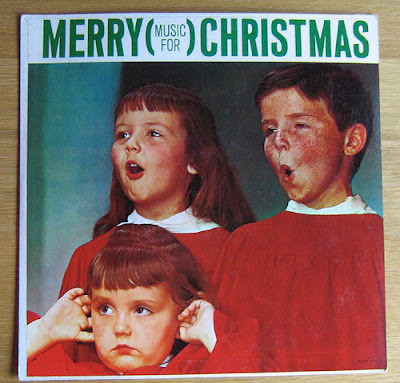 I believe the little girl in front strongly disputes the album's title. "Oh my, Santa, that's a mighty big sack you have there!" No wonder I always wake up with a headache! After a long day of cross country skiing, there's nothing better then taking a nap in the snow and dreaming that I'm a 50 foot woman about to be rammed in the head by cars. Is Heino the German word for heinous? Chewie already has a comb? In that case, I would recommend the Flo-Bee haircutting system. 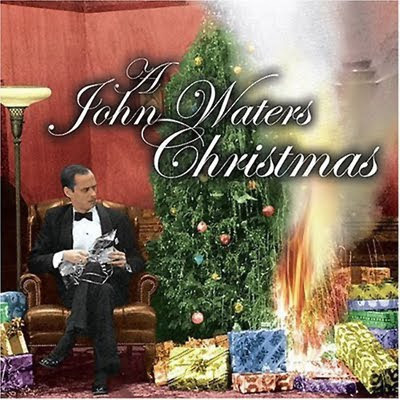 Now we know why no one ever attends John Waters' Christmas parties. 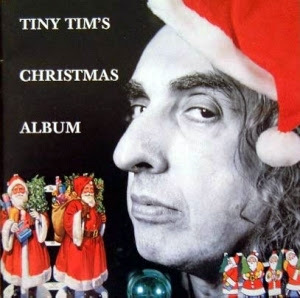 Do we really need to be treated to the inside of Tiny Tim's ginormous nostril? By the way, this album contains the most bizarre version of Silent Night ever recorded...also check out Tiny's smash hit Santa Claus Has Got the AIDS This Year. 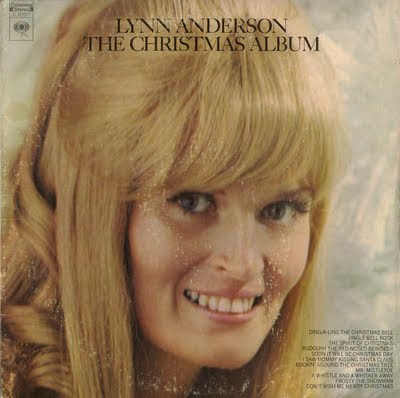 Santa, please leave a new hairstyle for Lynn Anderson under the tree this year. 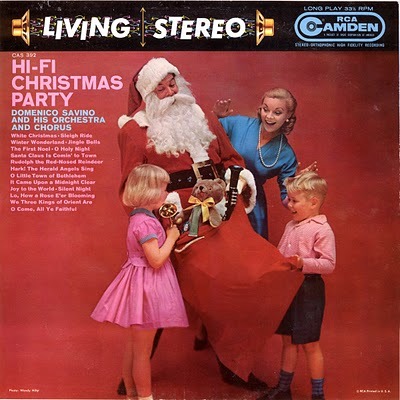 Forget frightening the children; this demented looking Santa is scaring me! And how about putting on some trousers, old Saint Nick? Err...um...oh boy. 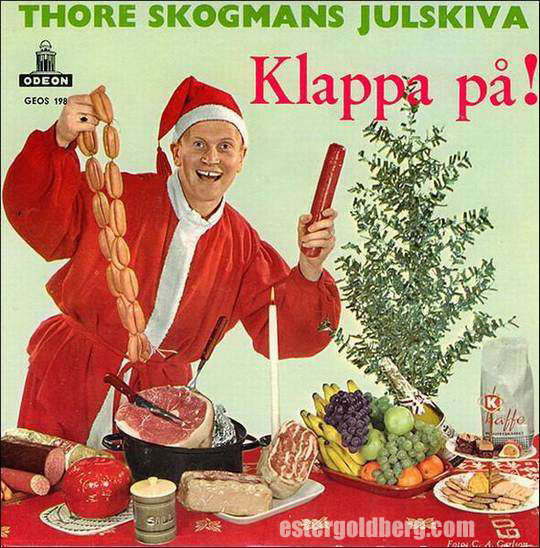 This guy sure loves a big sausage. 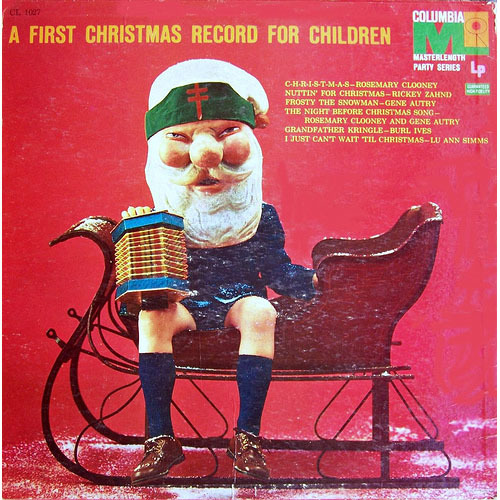 Here's hoping all of you never see any of these records under the tree. 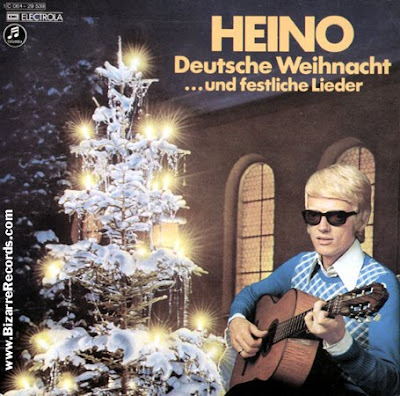 Not sure but I think Heino means "creepy guy at the ice cream store" in German. I remember seeing the Perry Como one at a flea market once. I almost bought it for mom. I was laughing on the inside over these. 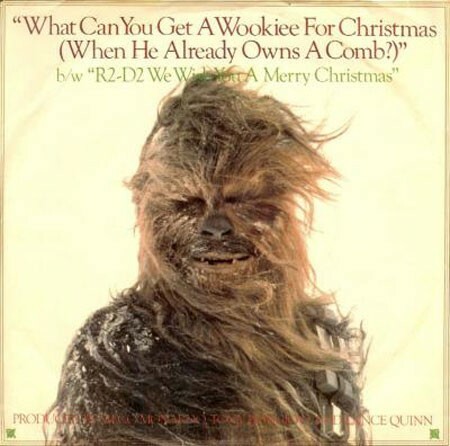 I'll have to show my brother the Chewbacca one - he's really into Star Wars. I hope that you have a good Christmas. I love your blog to begin with, but this seriously was great!! 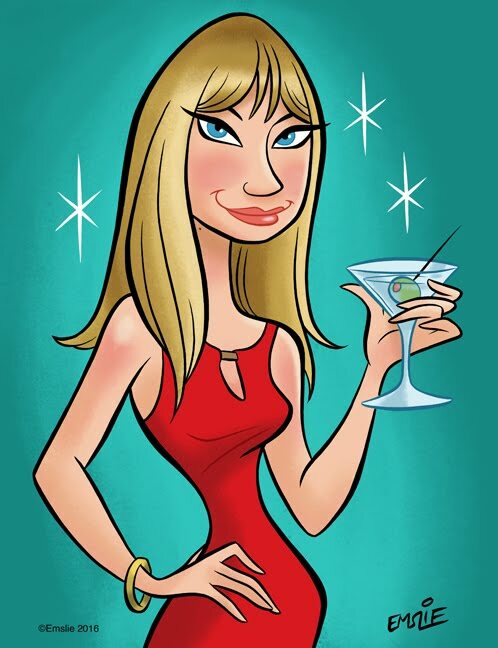 LaraAnn - thanks, and same to you and your family as well! I think my mom may have had that Lynn Anderson LP! If I hadn't seen some of these myself in person, I would have a hard time believing that they were real - but they are! I actually have a friend who looks like Heino! I'm always a little late to the game, but this was a hilarious post! That sleeve with Lynn Anderson's mane was great! Hard to believe it was only 40 years ago. And check out the far out manes she displayed on the "Rose Garden" & "You're My Man" Lps..... She was known for attending western horse shows at the time of these albums' releases, & still does today. How did she manage to fit a cowboy hat on top of that mountanous mane & expected it to stay on during a reining demonstration must have been a miracle!